Despite growing up on the east coast, I had never been to Maine. Last weekend though, I finally took the drive up and had a wonderful time. 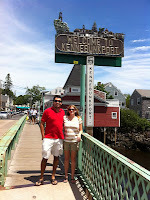 We visited Kennebunkport, a popular vacation spot made famous by the Bush's compound and other wealthy summer home owners. It reminded me of Martha's Vineyard and other idyllic picture-perfect sea-towns on the east coast that I've sailed to in the past. 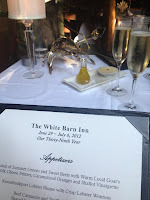 The best part for me was the lobster. 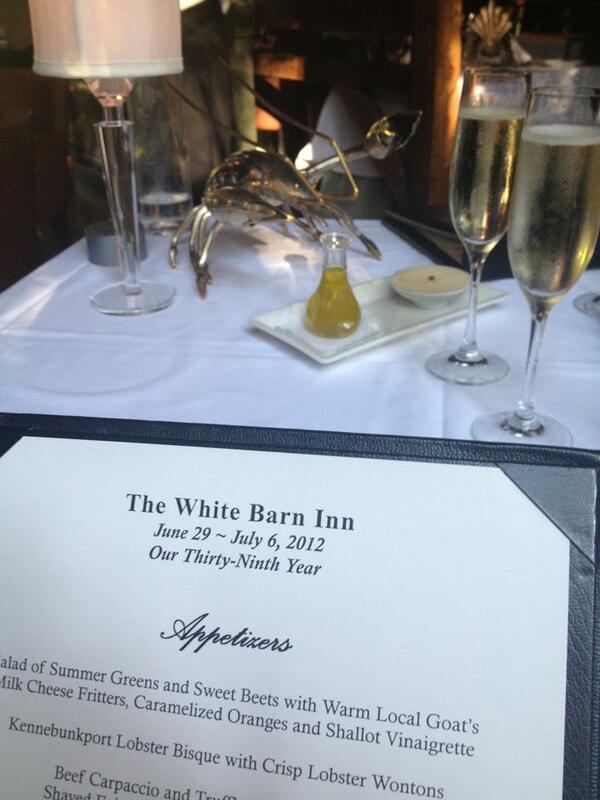 I literally ate lobster in some form or another every day while I was there. I'm lucky I didn't get gout. For an informal taste, we ordered a 1 1/2 pound lobster at the Cape Pier Chowder House and ate it on the dock as we watched the sunset. It was beautiful. I've always wanted to go strawberry picking, but had never been. Luckily, we made it just in time for the end of the strawberry season, but just before the start of raspberry season though. Several local farms offer a U Pick option of the latest in-season fruit. We went to the nearby Spiller Farm at 85 Spiller Farm Lane, Wells, ME 04090. There were rows and rows of strawberry plants for the grabs. We were pretty choosy though and didn't over do it since strawberries never last for too long. We also probably ate more than we ended up going home with while picking ;) Note: if you decide to go picking, bring your own tupperware or container, otherwise they charge you for one and we were the only ones there not prepared with our own.